It was a dream of mentor Nhlanhla Nxele (in the photograph) to start a Dancing Pencils Writing Club in Westville Prison. This dream came true on Tuesday the 23rd of April when he received permission to mentor some inmates. Felicity accompanied him on this first session. Five men were present, and Nhlanhla and Felicity were told that next Tuesday there would be more than 50 men interested in writing! This first two hour session went very well. The participants learnt to “unlock” their right brains, to write atmosphere and to even write a short story. 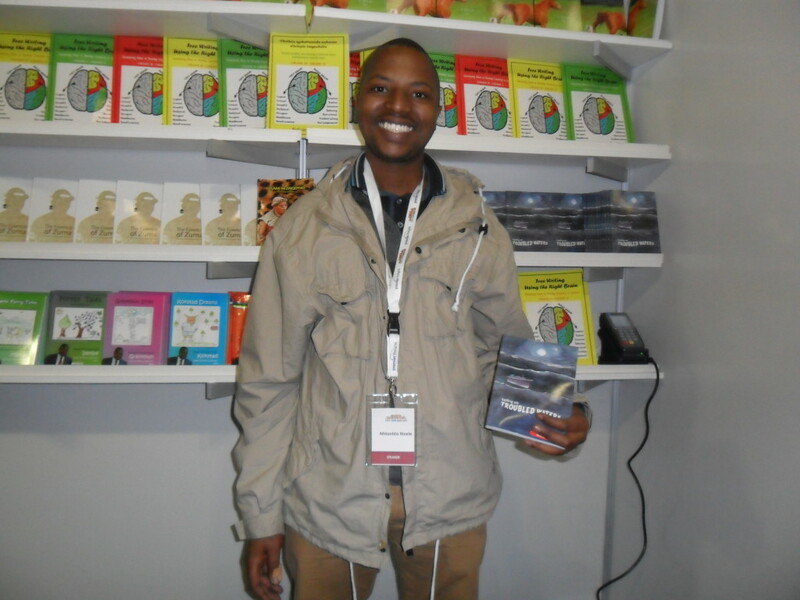 The Dancing Pencils mentors also took books published by umSinsi to give them. This would encourage them as their first publication will be an anthology of stories, due in by 30 June for this year’s launches. Later some of them might like to write autobiographies. Felicity told them, “People don’t like trouble in their own lives, but they really enjoy reading about trouble in other people’s lives.” The participants thanked her and said the session had really helped them. Dancing Pencils has already booked a stand at the Cape Town Book Fair for 2014 and have told the organisers to expect some interesting new books by members of Westville Prison! Is this forum only for inmates or can I be part of it? Does it only cater for original works? Can my transformation of an old English novel into an IsiZulu modern drama also fit into your focus? You are welcome to contact Dancing Pencils. Just go to the contact us section of this website and send us a message with your contact details and let us know what you would like to know. Hi there Clarence. Why don’t you send us some of your details and tell us about you project at info@dancingpencils.co.za.dedi406.flk1.host-h.net and we will see how we can help you.